You may recognize Sam Sanders from the 2013 release by 180 Proof Records of a previously unreleased Strata Records date 'Mirror, Mirror' (http://fleamarketfunk.com/2013/08/05/sam-sanders-mirror-mirror/). For most though, this Detroit soul jazz veteran will likely be unknown, and unfortunately so because not only was Sanders a great saxophonist with his own warm and lyrical post bop sound, he was an important fixture of historical significance in the Detroit jazz scene with important Motown and Strata connections. 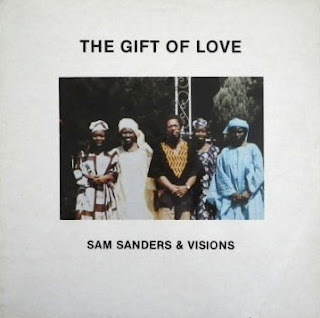 Jazznation explains, "Sam Sanders and Visions - for many years with bassist Ed Pickens and drummer Jimmy Allen, was known for extremely aggressive post bebop jazz bordering on the Avant garde. 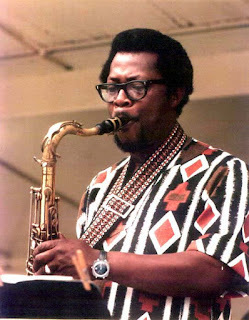 Sanders mainly played the tenor and soprano saxophones, however he would often close his concerts with a signature slow blues on the alto saxophone, revealing his deeply ingrained 'roots' and distinctly Detroit sound" (http://www.jazznation.com/CBP/SamSanders1.html). In a 1976 article for the Ann Arbor Sun, David Weiss describes, "Sam Sanders is one of Detroit's most precious natural resources... His artful saxophone work has graced the ensembles of Alice Coltrane, Pharoah Sanders, Smokey Robinson and countless Motown dates'" (http://freeingjohnsinclair.aadl.org/node/201718). Moreover, Jazznation notes, "Prior to forming Visions, Sanders and trumpeter Marcus Belgrave fronted a band with pianist Harold McKinney called the Creative Profile. Belgrave and Sanders would continue to perform together, often with Sanders' big band, the Pioneer Orchestra"(http://www.jazznation.com/CBP/SamSanders1.html). 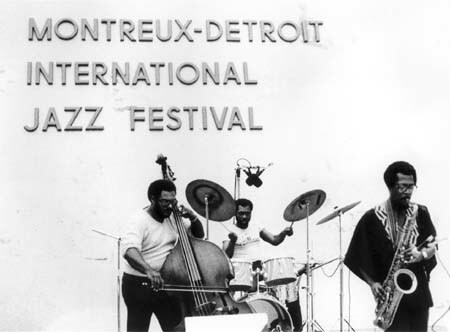 Sanders also served as an instructor at both Oakland University and the Detroit Metro Arts complex as well as helping create the Detroit Jazz Center. Although most of the sessions with Sanders from the 60s or 70s are either nowhere to be found or still unreleased, 'The Gift of Love' - perhaps the only release of Sanders as a leader during his lifetime and privately pressed by what I presume to be his own label That African Lady - offers a document of this Detroit great's music with his band Visions. Fellow Strata musician Kenny Cox, who has also gotten a recent release from 180 Proof records, even sits in on keys on a few tracks. 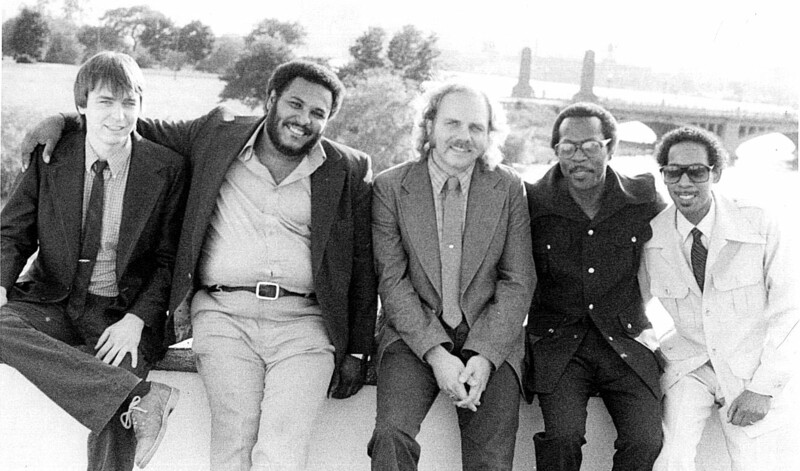 Unfortunately Sanders passed away in 2000, but hopefully the small amount of recordings we do have of him do justice to his musicianship, Visions and the Detroit jazz scene. Here is a rare video from 1990 of Sanders playing the last song 'Fantasy' from this session live: https://www.youtube.com/watch?v=1CygX2RRUUI. Hope to hear it one day. i'll post a rip of the whole lp soon! Thank you for this. Have only previously heard 'fantasy' from this lp ( which I also love ). Shall look forward to hearing the rest of it. Appreciate all the music you post here. ...can't wait to hear this! Your site is awesome! Thanks for all the shares. Thank you for all these -very rare for me- masterpieces. Is there any chance for the back cover? Enjoying this spiritual Latin sound and looking forward to hearing the rest. New to me and very good. thanks. J who's playing piano on that Youtube clip, any ideas? so good.